It seems like I have always lived in this dark, smelly cell. I cannot remember when this day began. A memory of Passover with my men flickers for a few moments and puts itself out. The door clangs open. Two soldiers yank me off the floor and drag me to the Governor. I see faces with open pits for mouths and hear a sound like the sea. Distant and alone I stand before the crumbling pillars of justice. A man’s voice says “I am innocent” but he is not speaking for me. No one is, not even me. I fall under the weight of the woody bulk. For the first time, I see the busy “Skull.” Whenever I stumble, I hear cheers slowly bouncing off the city walls. A nightmare is invading these holy streets. And now giant nails rip open my flesh and splatter my blood. A throat burning scream blares out of me. 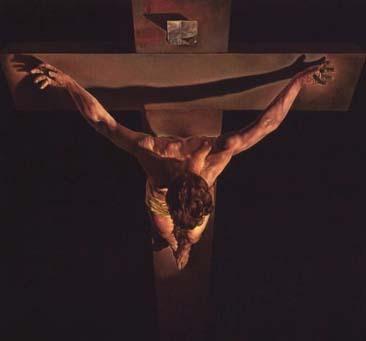 The full reality of crucifixion is now mine and I am lifted up over them all. Every moment, the pain goes deeper than I ever could have imagined. I fear the darkness and release may never come. I gather what little strength there is left and say what must be said. Finally, the end comes. I fade to littleness and quiet. This entry was posted in Religion and tagged Christ, Good Friday. Bookmark the permalink. Reblogged this on Rich Rockwood, Christian Author.